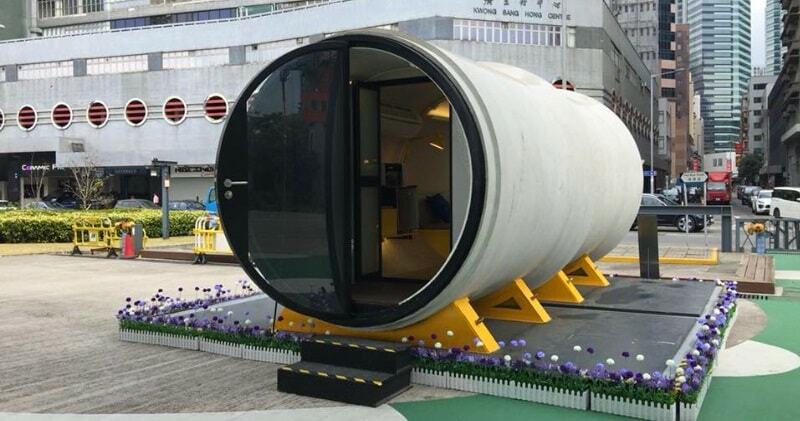 An architect in Hong Kong “James Law” is turning concrete water pipes into temporary apartments in the narrow spaces between buildings: Converted old water pipes.He calls his design this OPod, and it’s intended to help ease the housing shortage in one of the most expensive cities on Earth. Te Opod Tube House, conceived by James Law Cybertecture, is an experimental low cost, micro-living housing unit constructed out of a 2.5 meters diameter concrete water pipe of 22 tons. The design utilizes a strong concrete structure to house an apartment for one or two persons with living, cooking and bathroom inside 100 square feet. 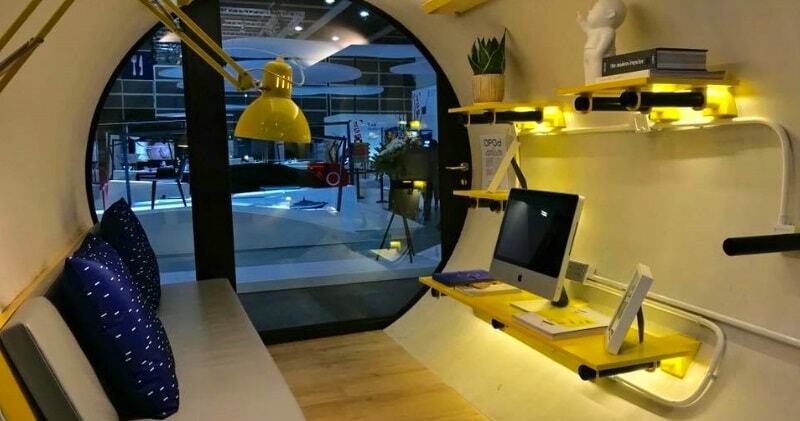 Each pod includes such amenities as a bench that converts into a bed, open shelf storage, a mini fridge, microwave, bathroom, and shower.Saving money and space, Opod Tube House is meant to be a low-cost residential pipe-structure, in order to create affortable starter homes for young people. The affordable price of the Opod Tube House could allow to solve the big housing crisis, proving a temporary relief for those who are looking for something in short term.